Weekly Asks: Your Three Must-Have Makeup/Beauty Products...??? Hope u all are doing well and enjoying the on-going sales. This weekend am finally back with a weekly asks segment question. As I have changed the theme of my blog. We have a new weekly asks banner too. Hope you like it. "Name your three must-have makeup/beauty products?" My Ans: For me, those 3 products are a moisturizer, a foundation and a lipstick. These are my 3 must-have makeup/beauty products. Here is a great news for all Sigma Beauty lovers. 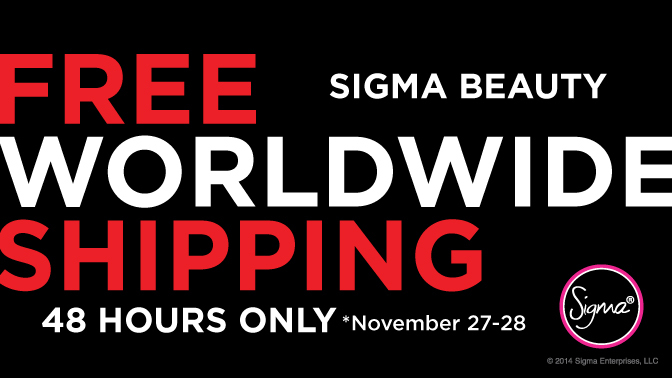 This Black Friday, sigma beauty is offering free worldwide shipping for 48 hours and guess what there is no minimum order value. This offer is valid from November 27, 12:00 AM PST till November 28, 11:59 PST. To avail this offer use the code "BF2014" at checkout on Sigma Beauty website. So hurry up and avail this amazing offer at Sigma Beauty. Happy Shopping... !!! 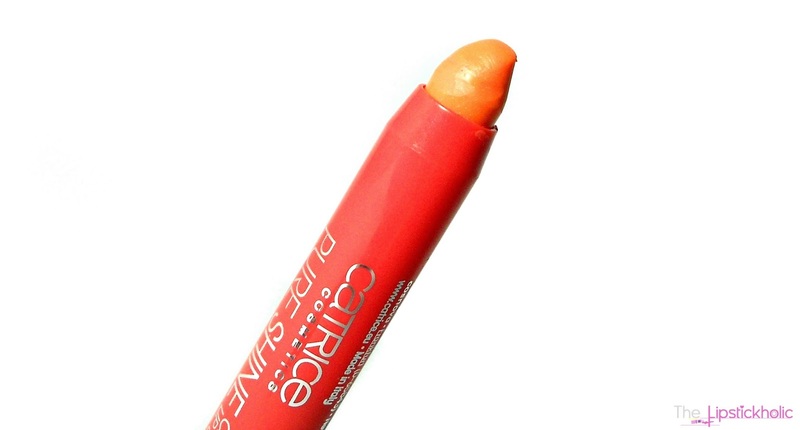 Review: Catrice Pure Shine Color Lip Balm in "(060) Go Flamingo Go!" Hope you all are doing great and enjoying the foggy winter days. Today I have another lip crayon review to share with you. 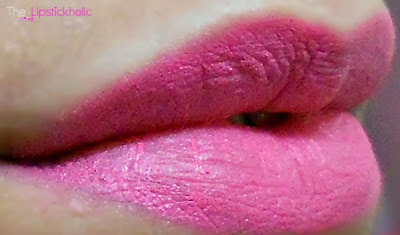 It's Catrice Pure Shine Color Lip Balm in shade "(060) Go Flamingo Go". So without further talking let's just get to the review and see what I have to say about this lip balm crayon. 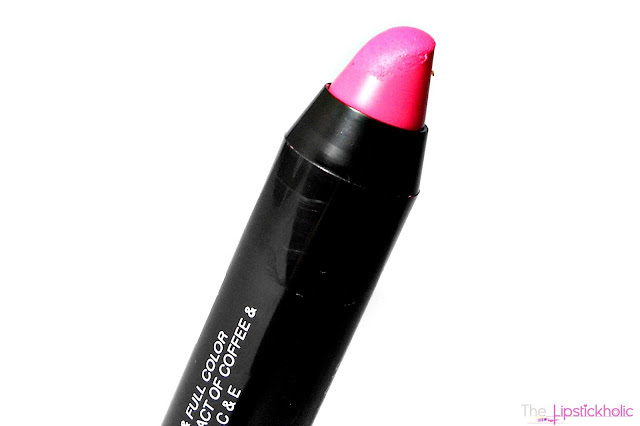 Catrice Pure Shine Color Lip Balm in "(060) Go Flamingo Go!" The texture and feel of this pure shine color lip balm is exactly like a lip balm. Its finish is kind of glossy but it doesn't feel sticky or tacky. It is not very pigmented and provides sheer to medium coverage. It hydrates and moisturizes the lips really well and leaves the lips feeling soft and supple even after the color fades away. I can say this is the most moisturizing lip crayon I have ever used till now. This particular shade "Go Flamingo Go!" seems like a bright orange shade from the packaging. But surprisingly inside the tube it is a very wearable orange-peachy kind of shade. On my lips, it appears as a subtle peachy pink shade and leaves a slightly darker coral stain after few hours. 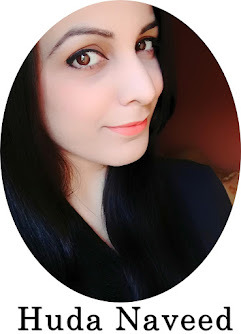 The shade is perfect for spring or summers but I love using it in winters too. Staying power of this balm is not very remarkable as a lip crayon but still decent enough for a lip balm. It fades evenly but the actual color stays on my lips for about 2-3 hours at max and after that it leaves the orangish-coral kind of stain on my lip which lasts an extra hour. The best part is even after the color fades away, my lips stay hydrated and moisturized all day long. Overall, this works great as a lip balm with a sheer hint of color. It provides long lasting hydration to lips and leaves a nice stain on lips after the actual color fades off. Although am not a fan of glossy products But I still like using it everyday. However, if you are looking for a long lasting full coverage lip crayon then this one is not for you. Thanks to this pure shine color lip balm, I no more have to worry about chapped/dry lips in winters. Price & Availability: Available at all Catrice counters Nationwide. 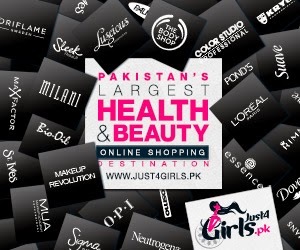 I purchased mine from Scentsations Safa Gold Mall (Islamabad) for PKR 970/- only. Few Shades are also available online at Beauty arena. My Rating: 4/5... as a lip balm !!! Have you tried Catrice Pure Shine Lip Balm yet..??? Don't forget to leave your comments. I hope you all are doing great. 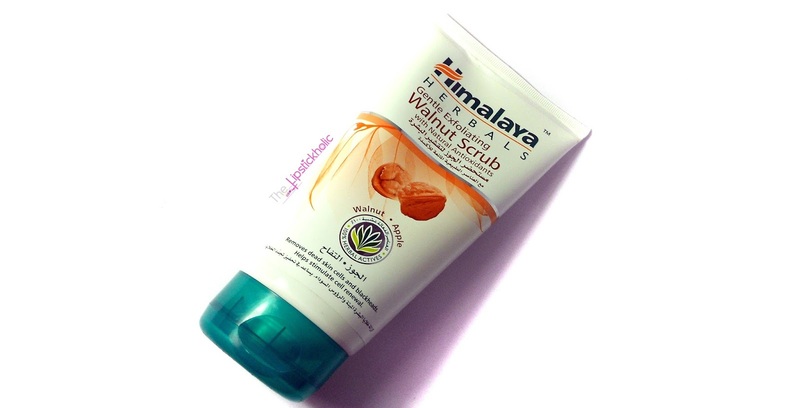 Last month I bought a few new skincare products for winters and many of you requested me to review this "Himalaya Herbals Gentle Exfoliating Walnut Scrub". My HG facial scrub is St.Ives Apricot scrub which I have been using it for many years now. This is the first time I have tried any Himalaya Herbals product. Let's see what I have to say about this scrub. This scrub comes in a normal squeezable tube like packaging. It has kinda creamy texture and has some fine brownish granules. I have dry/combination skin which is pretty sensitive. The best thing is that the granules exfoliate the skin well without being too harsh on it. I have used this scrub many times since I bought it. It works well on my dry/combo skin. 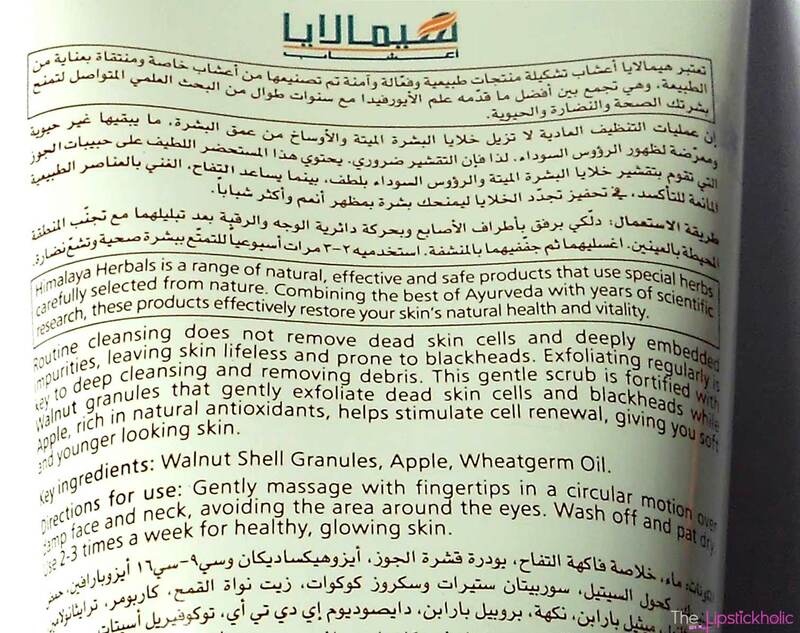 You need to take generous amount of this scrub on your palm and rub it on wet face in circular motion. Rinse off when you are done. While rubbing it on my skin I noticed some sort of heat coming out of my skin. Probably because of natural antioxidants properties it claims to have. The strong awful medicine like odor it has makes me rinse it off my face as soon as possible. Now coming to the performance part. Let me tell you that I use a mild exfoliating facial wash daily so I am not very sure how well it will perform if used just alone for weekly exfoliation. But for me, it has performed quite well. 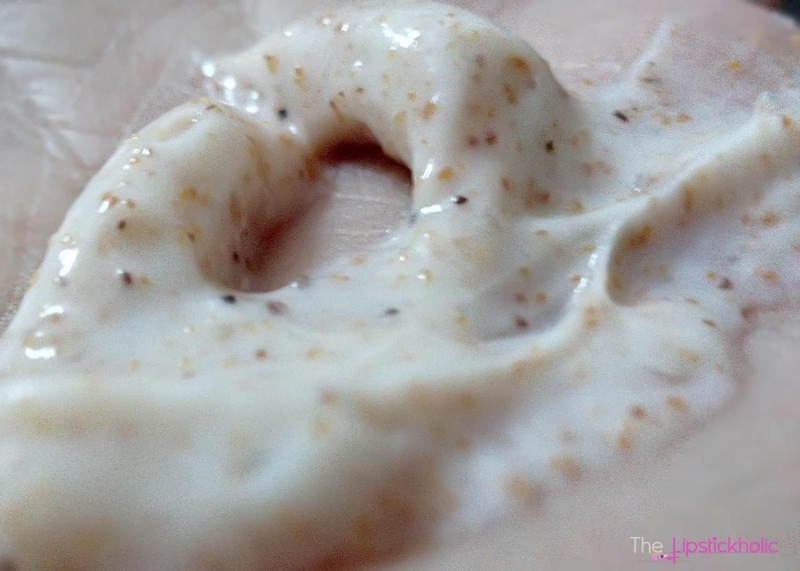 This scrub exfoliates the skin well, removes blackheads and doesn't feel drying at all. Rather it moisturizes the skin. My skin feels soft and supple after using it but it also feels a little over-moisturized. As I have dry/combination skin, its not much of problem for me. But, people will oily skin might find it a bit greasy. Luckily it didn't irritate my sensitive skin. Overall, it's a decent scrub for those with dry skin. It is not harsh on skin and exfoliates the skin well. Makes my skin feel soft but the awful smell is a big turnoff. And I wont be using this in summers as it tends to leave a kinda oily layer on the face after using. It definitely can't beat my HG St.Ives Scrub or Clean & Clear Scrubs. And am not going to pick this up again. As there are other better scrubs available at lesser price. Price & Availability: I bought mine from a local mart for PKR 450/- for 150(ml) tube. Also available online at Just4girls. 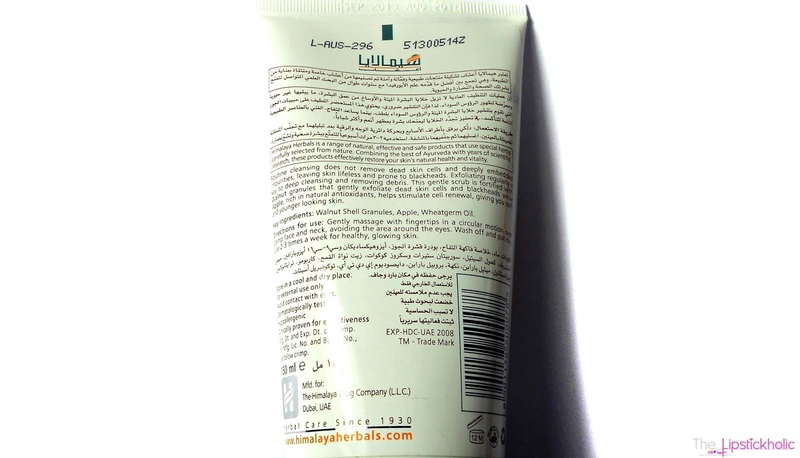 For further information regarding product and it's ingredients visit Himalaya Herbals Website. Have you tried any scrub from Himalaya Herbals...??? What do you think of this brand and its products...??? Review: Essence Glossy Lipbalm in "Raspberry Sorbet"
Hope you all are doing great. My lips tend to get dry and chapped often. Therefore using a good lip balm is a must for me through out the year. 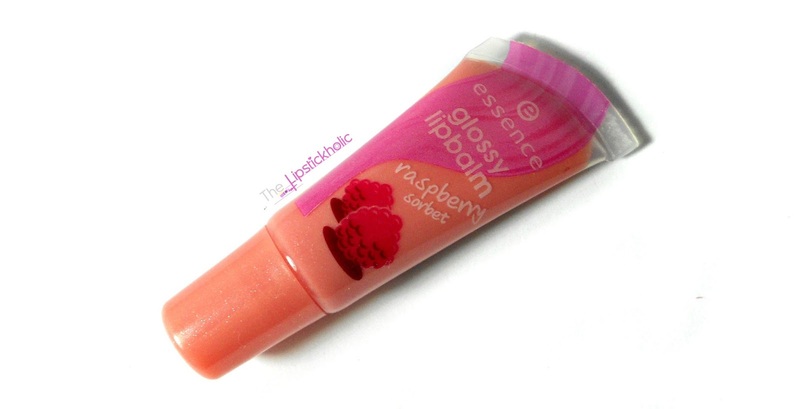 Luckily last week I got the chance to try this "Raspberry Sorbet Glossy Lip Balm" by Essence Cosmetics. Lets see what I have to say about this little glossy balm after trying and using it regularly for many days. Essence Glossy Lipbalm in "Raspberry Sorbet"
This lip balm comes in a mini squeezable tube like packaging. It is small enough to fit your wallet, clutch or hand bag. 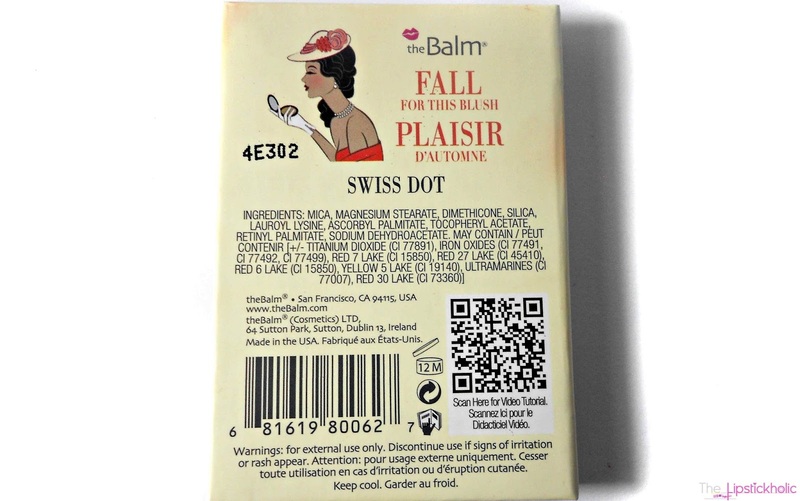 The texture of this glossy balm is creamy and smooth. Now what I like about this product is that it doesn't feel tacky or sticky at all. It provides decent hydration to the lips and makes your lips feel soft and supple like a lip balm and provides a nice sheen to the lips like a gloss. This particular shade "Raspberry Sorbet" is not very pigmented. Its a sheer light pink shade. When applied on lips, it appears as a very sheer pale pink shade. It has some fine shimmer particles in it which aren't much visible when applied on lips. It actually tastes sweet and yum. To my surprise, the staying power of this lip balm is pretty decent too. It lasted on my lips for about 2-3 hours which is pretty great for a gloss or a lip balm. Even after its glossiness faded away, my lips felt soft and smooth and tasted sweet. Overall, its a decent combination of a lip balm and lip gloss. This isn't the most moisturizing balm ever, but still provides enough hydration and makes the lips feel soft and supple for few hours. It tastes yum too. For the price, its really good and after trying this one am definitely gonna pick more flavors soon. Price & Availability: Essence glossy lip balm is available at Essence Cosmetics counters for PKR 230/- only. Few flavors are also available online at Beautyarena. 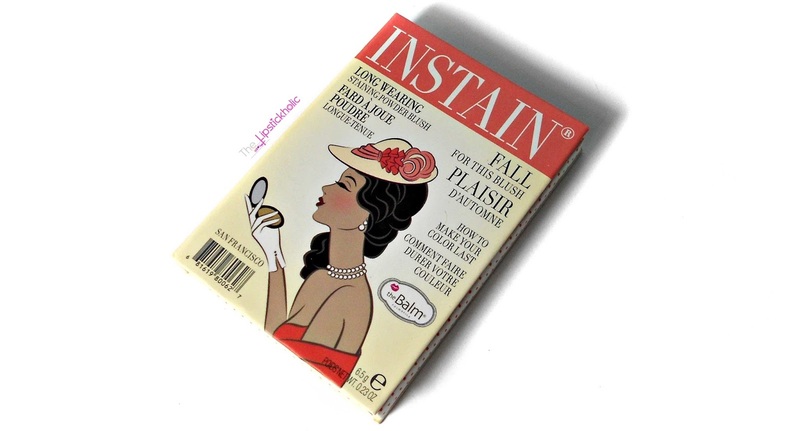 PR Post: This post contains product(s) that was sent to me for review. However, this has not affected my opinion. My review is honest and is based on my own experience with the product(s) or service. For further information read my complete Disclaimer & PR Policy. Review: DMGM Extreme Matte Chubby Stick in shade "Wax Apple"
Hope you all are having a great week. I am a great fan of chubby sticks or lip crayons and recently found two that are locally available. Today am going to review one of those that is DMGM Xtreme Matte Chubby Stick in shade "Wax Apple". DMGM Extreme Matte Chubby Stick in shade "Wax Apple"
Texture of this extreme matte chubby stick is creamy. 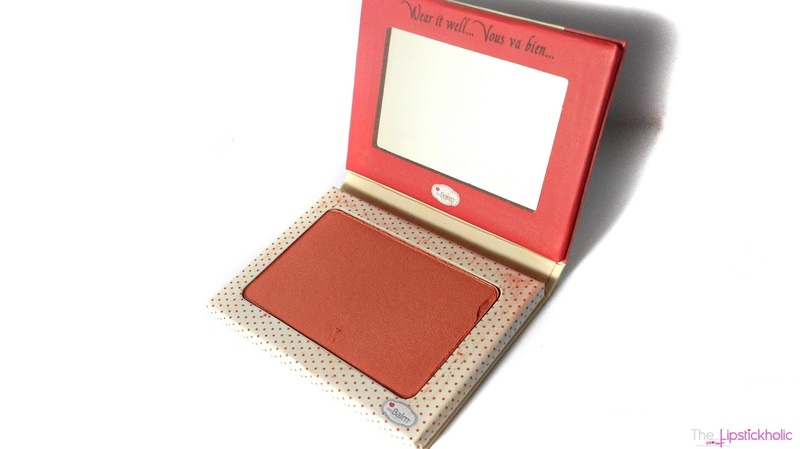 It is fairly pigmented and the coverage it provides is medium but buildable. It applies smoothly and doesn't feel drying on lips. It feels hydrating on lips and somehow makes the lips appear a bit fuller. However, it has slight tendency to settle in the fine lines/cracks. It's finish is kind of semi-matte and velvety. I love the smooth velvety texture and nourishing formula of this chubby stick. This particular shade "Wax Apple" is a lovely bright barbie pink of shade. It appears somehow neon on my lips but still is a lovely wearable pink. Staying power of this chubby stick is pretty decent. It lasts on my lips for about 4 hours (with little eating and drinking) and then leaves a very nice deeper rosy pink stain which lasts for extra 2-3 hours on my lips. I actually like the color of the stain even more. The best part is even after the actual color fades away, the stain doesn't make my lips feel dried out. Overall, I love the formula of this chubby stick and like this particular shade a lot. If you are a lip crayons or chubby sticks fan and like matte lip products, then you should try this out for sure. There are 10 beautiful shades available in this range. Price & Availability: These chubby sticks are available at DMGM counters at all leading cosmetics and drugstores in Pakistan. I bought mine from Al-Fatah Centaurus Mall for PKR 995/-. Have you tried DMGM chubby sticks yet..??? Don't forget to leave your comments. My Blog's First Anniversary: Happy Birthday To "THE LIPSTICKHOLIC"....!!! One year back, on this day I decided to start my own beauty blog. I created an account on blogger and created a blog with the name "The Lipstickholic" to express my love for lipsticks. I wrote my very first introductory blog post on this day telling a little about myself and what my blog is about. At that time, I had no idea that how will I gain followers, how will I promote the blog or how will I ever change the blog's layout. I was not even sure that someone will read my blogs. All I knew was, I would love to have my own beauty blog, where I will be able to write about my passion for makeup, beauty products and other related thing. With Allah's help and my devotion and hard work, I managed to learn a lot of things. I gained some basic knowledge about HTML and CSS codes and learned how to do some basic tweaks in blog's template. I also learned ways to promote my blog and to gain more followers. In this one year of blogging, I gained a lot and learned a lot. I never knew I would be able to have so many followers on all my social accounts in just 1 year Alhamdulilah. I met many new fellow bloggers and made many new friends. And today, am really glad to have many good fellow bloggers around as very good friends. I am already having a birthday giveaway on my FB page that is open to Pakistan only. I hope to do an international giveaway on my blog soon to for my international readers too. Today am going to share my experience with a Pakistani Facebook based store named "Ideal Additions" with you all. I have shopped with them more than twice and had a great shopping experience. Therefore, I decided to review this Facebook based store for my readers. Ideal additions has a great variety of handbags, jewellery, wrist watches, cosmetics and some other accessories at very reasonable prize. They also take per-orders for known U.S sites from time to time. Their hand bags and accessories get out of stock very quickly because of such amazing & stylish items with such affordable prize tags. The good thing is they keep bringing new stock every two to three weeks and keep their page active by choosing a lucky fan every week for a free gift. Last week I saw a lovely lime yellow bag on their page. I inquired about the availability of the bag and luckily it was available. So I purchased it immediately. Ideal Additions offer COD (Cash on Delivery) only for Karachi. For the rest of the cities, they accept payments via Easy Paisa or Bank Transfer. I payed for my order via bank transfer and got my order right on time in 3-4 working days. The bag is very spacious, and is perfect for university, daily or office use. 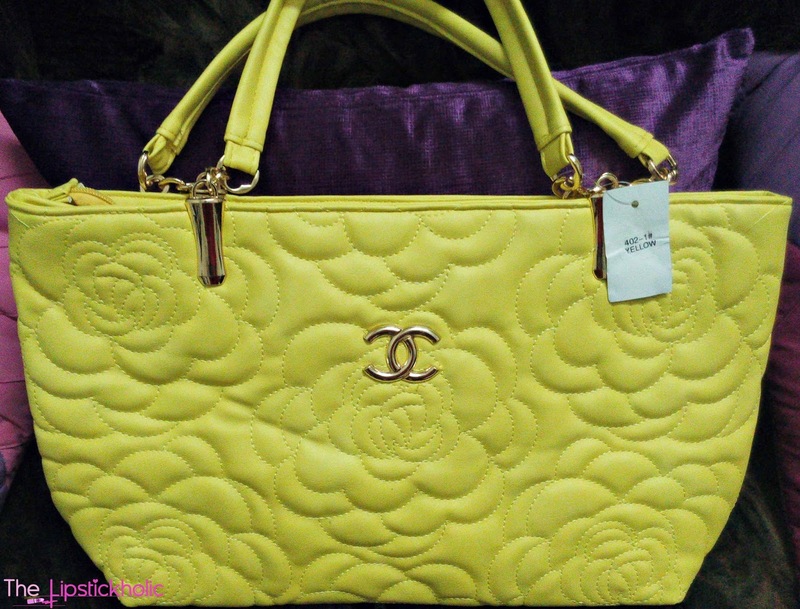 The price of this bag was Rs 1250/- only. and shipping charges were Rs 200/- for Islamabad. Take a look at the bag that I bought. Am totally satisfied with the quality of the bag and for the price its amazing. The color is so vibrant and lovely. The owner of the page is really nice and cooperative. All the representatives who answer Facebook queries are also very humble and cooperative . If you are looking for affordable hand bags, clutches, wallets, jewellery or other accessories, I definitely recommend you to visit and shop from this Facebook page Ideal Additions. Am sure you will also have a great experience with them. Hope you all are doing great. 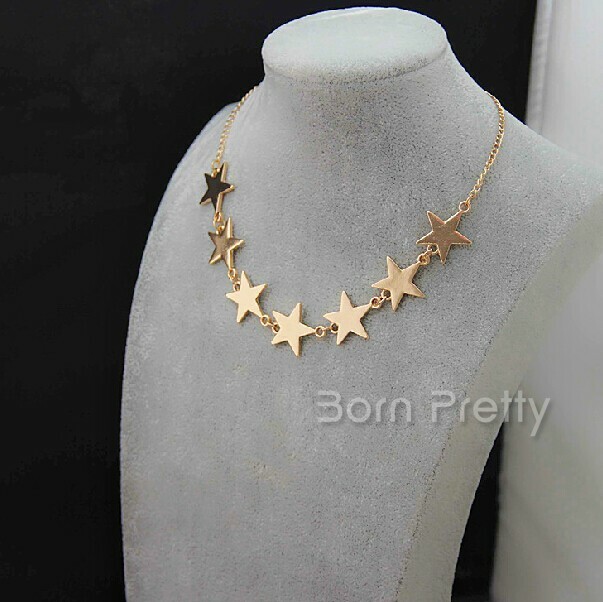 Today am going to share some amazing jewellery & accessories collection with you available at an international online store Born Pretty. Currently they are having a site-wide sale and offering some amazing discounts on all their collection and are offering free worldwide shipping too. You can browse through their jewellery and accessories collection online and there is a great variety of items to choose from. Their prices are very reasonable. 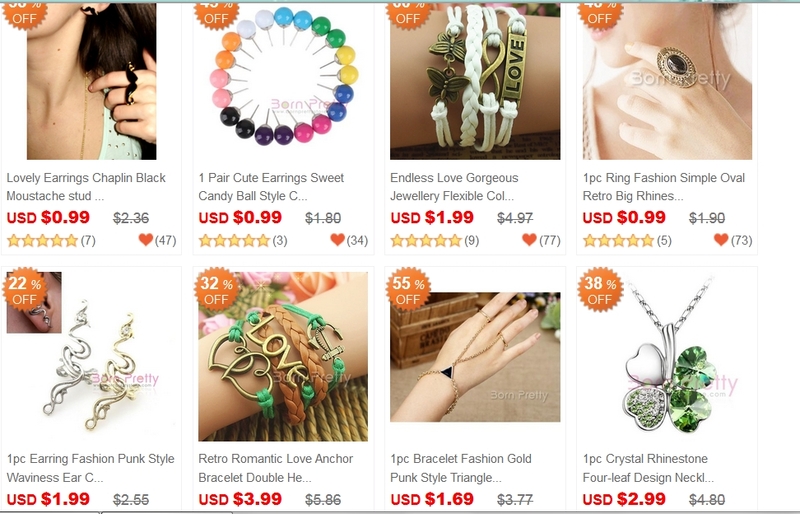 Their jewellery and accessories collection includes gorgeous necklaces, bracelets, rings, brooches, body jewelry, hair accessories and much much more. Isn't their collection just amazing...??? And that's not just it, visit their site to see their complete amazing range of jewelry and accessories. I can't wait to buy some of these gorgeous jewellery items for myself. Their shipping service is pretty quick too. They accept payments through PayPal, Bank Transfer and Wire Transfer. 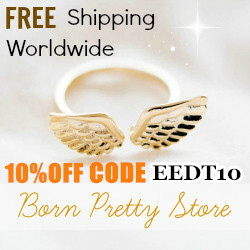 Great news is my readers can have a 10% discount on their purchase from Born Pretty store. Just use the code EEDT10 at checkout to avail this discount (Applicable for non-discounted products only). Review: L.A. Girl Pro Conceal HD Concealer in shade "Creamy Beige"
Hope you all are doing well. I have naturally deep set eyes with quite prominent dark circles. So am always on the hunt to find the best concealer for my eyes. That's why I decided to try another much raved about drugstore concealer. Yes, am talking about L.A. Girl Pro Conceal HD Concealer. So without any further talking let's see what I have to say about it. L.A. Girl Pro Conceal HD Concealer in shade "Creamy Beige"
This concealer comes in a squeezable tube packaging with brush applicator. Personally am not a fan of such applicators and packaging. Upon squeezing you always get more than desired amount of concealer that leads to product wastage. It took me a while to learn to squeeze and apply the right amount of concealer to avoid product wastage. This concealer has medium consistency which is neither too runny nor too thick. It is creamy and blends smoothly into the skin without any hassle. It is very very pigmented so you need just a little amount of concealer to conceal your dark circles or any imperfections on your skin. I have dry/combination skin and luckily, it doesn't feel drying on my skin. But yes it does has the tendency to enhance any dry or rough patches. I don't find this concealer tacky or sticky at all. The finish of this concealer is kind of matte but really smooth. Let me tell you this concealer doesn't brighten the under eye area. So, if you are looking for a brightening concealer, then this one is not for you. However for me, this concealer has worked really well, no dryness, no greasiness. Just the perfect kind of finish and perfect coverage. The shade I bought is Creamy Beige. For reference, I am NC 25. I was thinking to buy the shade "Natural" but then decided to go a shade darker this time and I guess I made the right choice. This is perhaps the best color match for my skin tone in any concealer range so far. I apply a very thin line of this concealer for medium coverage and a heavier line of this concealer for full heavier coverage and use my fingers to gently pat and blend it into my skin. It easily blends into the skin and looks very natural. I have used a fine line of L.A. Girl Creamy Beige Concealer and you can see the coverage is amazing. Adding another line completely hides my darkest dark circles. The staying power of this concealer is really amazing too. It lasts approx all day. However, after about 6 hours I noticed my under eye area turning a bit greyish. But it wasn't much noticeable and didn't make my under eye area a lot ashy so am happy with it. Don't forget to set it with powder if you are planning to go out in hot weather or planning to wear it all day long. Overall, am quite happy with the coverage and finish of this concealer. I think I have found my HG concealer and selecting a darker shade was perhaps the best decision. This concealer offers great coverage and conceals my dark circles really well so am totally in love with it. Under eye area turns a little greyish after 5-6 hours. Price & Availability: L.A. Girl Pro Conceal HD Concealer is available online at Beauty Joint for $2.99/- only. I bought mine from Facebook Page Infinity for PKR 700/- only. You can check the page Infinity to see if they still have these in stock or you can pre-order this concealer from beauty joint through any Facebook page.